After days and days of wind and heavy rain the weekend of our annual workshops with Nobu saw the sun shining on us. 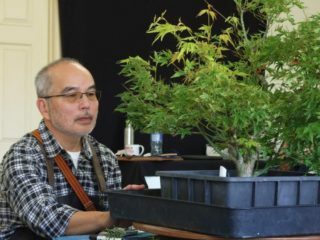 With a number of our newer members turning up for the first time on the Saturday, Nobu made sure he included them in the general discussions and expanded on his comments on the trees being worked on to make sure they understood the principals involved and the details on some of the species. 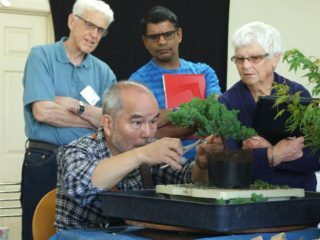 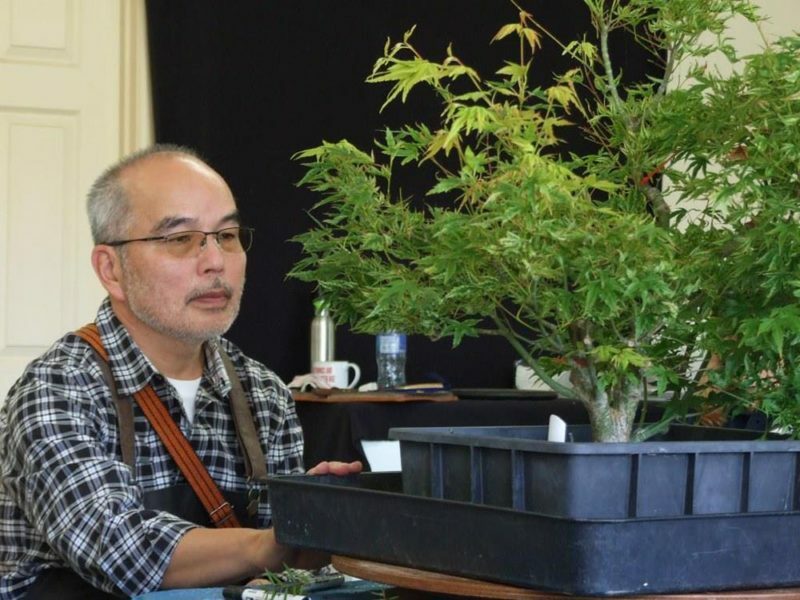 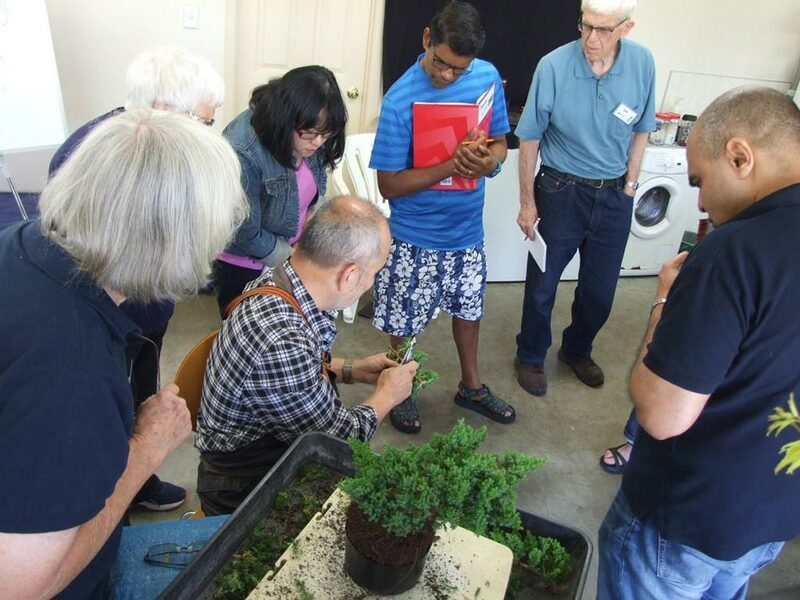 The numbers actually bringing trees to the workshop were down but that meant we all had more time with Nobu.During the two days we saw repotting work on juniper and azalea, pruning of azaleas, junipers, maples, ginkgo, totara, hawthorn, Califor-nian redwood, hornbeam, crepe myrtle, dawn redwood and pines. 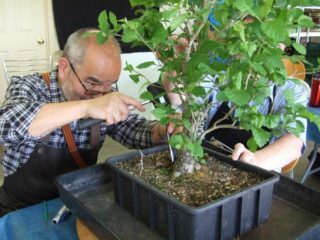 Nobu also demonstrated on three trees the techniques for improving nebari and root structure (with a hammer and chisel). 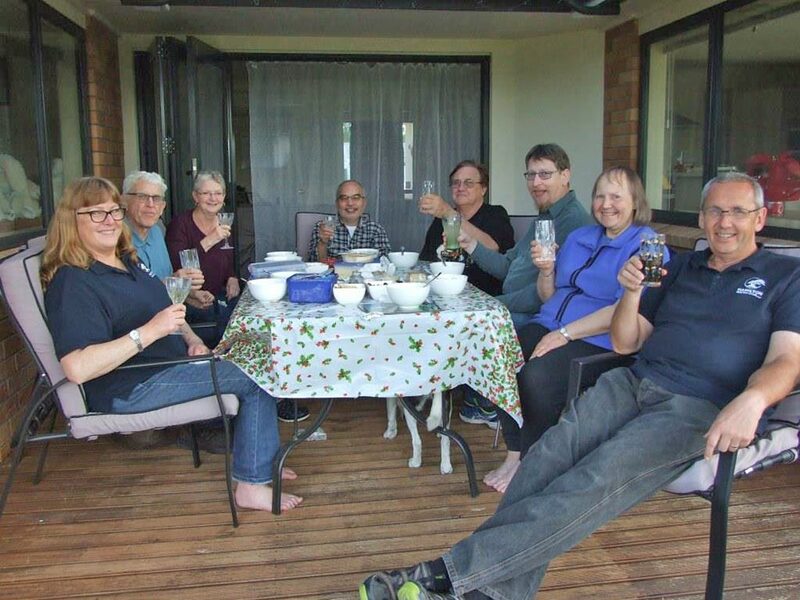 Saturday evening saw 8 of us for the usual BBQ and good conversation. Then it was back to working on the trees on Sunday.